A group of men attempted to chain an ATM to a stolen pickup truck and haul it from a store in Rancho Penasquitos Wedenesday morning, but eventually gave up and abandoned the truck nearby. 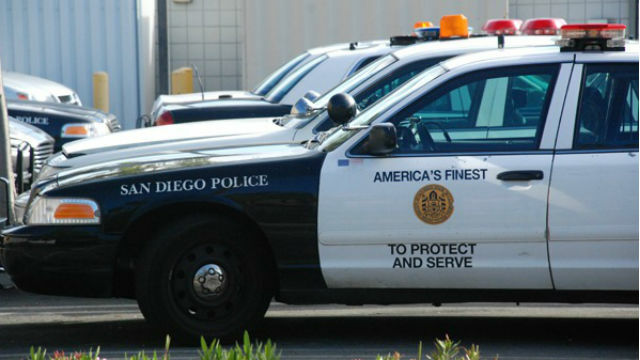 The three or four male would-be robbers set off an alarm at the CVS store on Twin Trails Drive near Black Mountain Road around 4:15 a.m. but were gone when officers arrived, San Diego Police Officer Frank Cali said. They had apparently chained the ATM to a Ford F-250 truck in an attempt to pry it from its base, but ultimately fled empty-handed, according to the officer. The badly damage cash machine was left behind. Investigating officers stopped a vehicle similar to the one used in the break-in in the vicinity of Interstate 15 and Centre City Parkway in Escondido but determined it had not been involved, Cali said. The stolen pickup was later found abandoned near the CVS store, he said.